I've thought of that already but @nagelc thanks for the suggestion though!! can you guys give me some suggestions on what type of sensors can i used to detect the existence or motion of an object once it pass through certain threshold of a boundary? I would like to create some kind of a room with transparent wall (the sensor range). 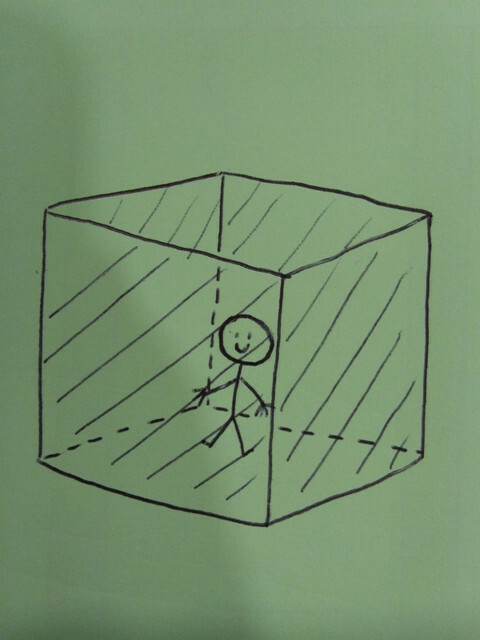 I've depicted a drawing of a man in a transparent room as above.